Chances are, if you watch a lot of Netflix shows, one of your faves was canceled recently. The streaming service axed 12 shows so far this year and eight last year. Those fatalities include Marvel shows Luke Cage and Iron Fist, talk shows The Joel McHale Show With Joel McHale and The Break With Michelle Wolf, oddball comedies Lady Dynamite and Haters Back Off, and high-budget dramas Sense8 and The Get Down. By contrast, Netflix canceled only six shows in its first six years of streaming original content. So why is Netflix getting more cutthroat? 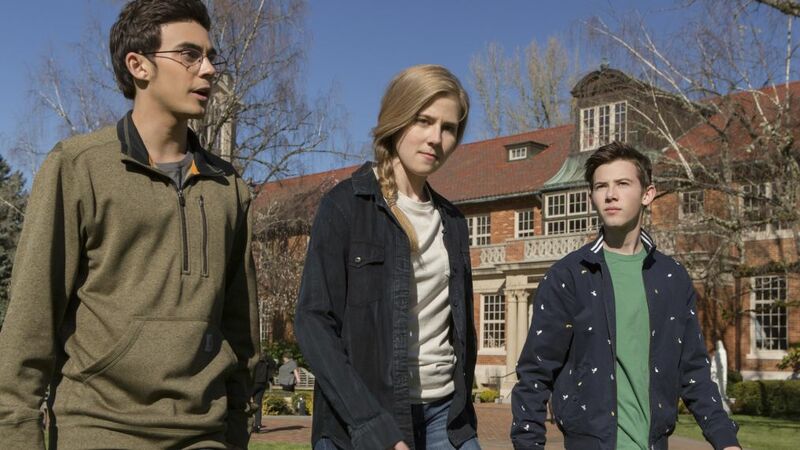 Where Will 'American Vandal' Season 3 Land After Netflix Cancellation? The mockumentary-style show is looking for a new home after Netflix axed it last week. Netflix once maintained that subscriber counts were more important to the company than viewer counts, but Hastings told CNBC that their renew-vs.-cancel decisions have been based “a mix” of both those “very connected” metrics. The new season is beginning to take shape. Meanwhile, The Motley Fool speculates that Netflix’s decision to cancel the true-crime satire American Vandal — which the company had hailed as its most-binged show of 2017 — indicates the company also wants to prioritize shows produced in-house, i.e. by Netflix Studios, to avoid licensing fees. Indeed, the rise of other streaming services with original content — e.g. Amazon, Hulu, and soon Apple — is making Netflix more austere, observes Wired’s Angela Watercutter. “Also, now that other streaming services are competing with Netflix for Emmys and Golden Globes, Netflix’s margin of error is even smaller,” she adds. All of that said, Netflix just recruited two of TV’s most popular masterminds to create original content, hiring Ryan Murphy (American Horror Story, Glee) in a five-year deal worth up to $300 million and making Shonda Rhimes (Grey’s Anatomy, Scandal) the highest-paid showrunner in television. So if Netflix just gave one of your favorite shows the boot, don’t despair. Your next binge-watch is coming down the stream soon.